Sibilla is a single mother, working as a gypsy dancer in a crummy cafe in the south of Spain. Unable to keep with the costs of her son's medical bills, she asks for help from her son's biological father and one of the richest men in town. After being rejected, Sibilla vows to save her son's life by any means necessary - even at the cost of her own life. "El Dorado" is generally linked to the cinematographic movement of the French impressionism, a branch of the more famous pictorial current. But with its sheer poetic power, this masterpiece cannot really be confined in this label. 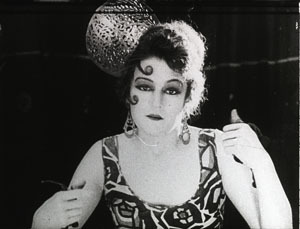 The lead star, Eve Francis, was an incredibly powerful and intense actress. 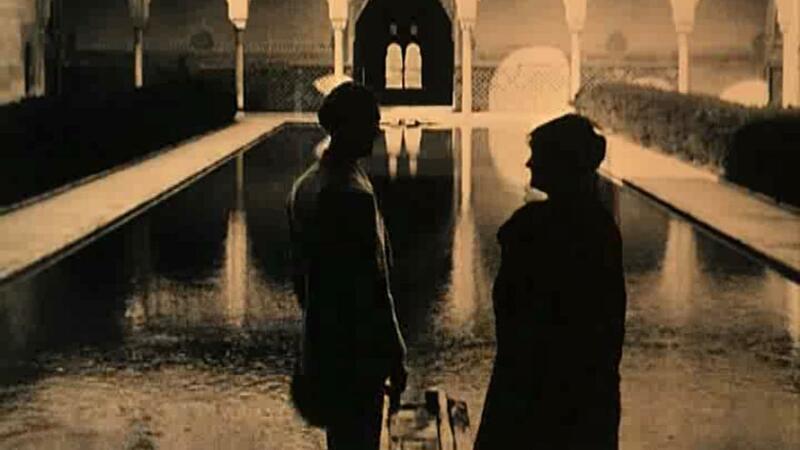 The work of the director L'Herbier brings to every scene a peculiar delicacy and beauty unlike any film of the time. The Music for the film “El dorado” will be based on the interaction between voice, flamenco guitars, piano, electronics and handclapping, creating different atmospheres from a very deep knowledge of the flamenco tradition, expanding its perspective with the wide scale of this instrumental setup. 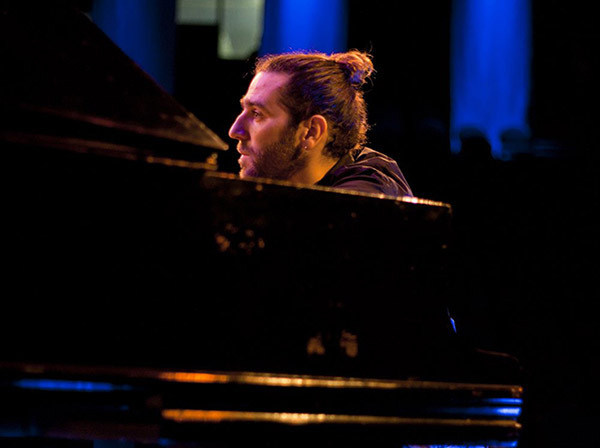 Carlos Ema (piano, composition, electronics, Spain) has a Jazz background, yet his versatility, curiosity and willing of interaction always bring him to diverse fields and projects. Since 2012 he is accompanying Ballet Class, Modern and Creative Dance at the Royal Conservatory of The Hague (were he obtained his degree in Jazz Piano, 2010) Dance companies Nederlands Dans Theater, and De Dutch Don’t Dance Division. He also compose, improvise and perform for several Dance and Flamenco projects all over the world (Fernando Troya, Cora Bos-Kroese, Francisco López, Expeditie Flamenco, Erminia Fernández Córdoba, Arturo Ramón, María Marín, Cristina Soler, SOS Film Festival, Korzo Theater, De Nieuwe Regentes, Bimhuis, Tivoli Vredenburg, Bird, Hungary, Italy, Finland, Japan, Belgium, Germany, France, Spain). 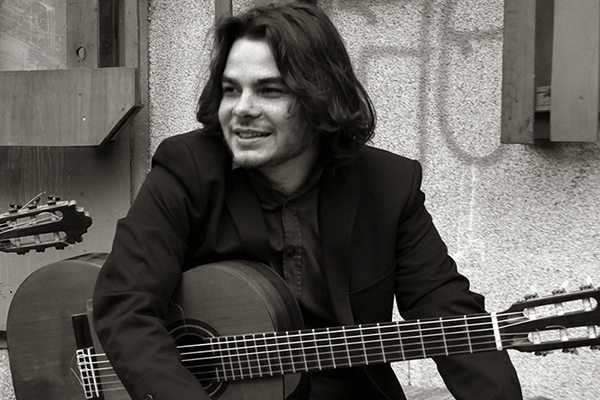 Vicente J. Santiago (flamenco guitar, Spain) started playing guitar at the age of 11. After his classical guitar studies at the Conservatory of Cartagena, Spain, he moved to Cordoba to specialize in flamenco music at the Superior Conservatory Rafael Orozco. His teachers were some of the most prominent Spanish flamenco players; Manolo Franco, Nino de Pura, Paco Serrano, Gabriel Exposito and others. He has been playing as a soloist and an accompanist to singers and dancers throughout Spain. He has participated in some of the most important flamenco festivals such as Flamenco Biennale in The Netherlands and Festival Flamenco del Cante de Lo Ferro in Spain. Nowadays he works on different projects like Haymah, Vicente Flamenco Quartet and Ti-an-guis playing different styles of music. 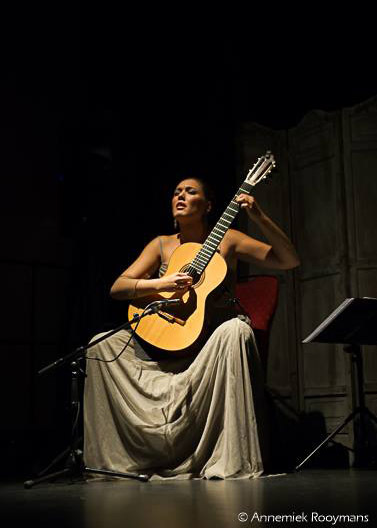 María Marín (guitar and voice, Spain) began her guitar studies when she was seven years old in Utrera, Spain, and continued at the Professional conservatory of music CPM “Francisco Guerrero” of Seville, where she studied middle degree studies. Later she continued the higher studies at the Higuer Conservatory of Music Manuel Castillo of Seville with teacher and concert guitarist Antonio Duro. She received a Master Study of guitar from the Koninklijk Conservatorium Den Haag, Netherlands in 2012, with teacher Zoran Dukic. She has collaborated in projects involving flamenco, jazz, and world music forming part of diverse recorded works which have led her to go on tour performing throughout Holland and many other countries such as Germany, Belgium, Spain, United Kingdom, Czech Republic, and France. She has sung for many great flamenco dance artists such as Jose Manuel El Oruco, and has accompanied master classes and workshops for artists such as Belen Maya, Farruquito, Patricia Guerrero and Manuel Betanzos.